So clearly, Will Ferrell has always been Will Ferrell, but the critical moment for him wasn’t that particular gag-skit. Instead, it was the unexpected moment when that same “victim” teacher later found him on campus, put a hand on his shoulder and said the words, “keep doing that.” Every good hobby has to start somewhere, and Ferrell’s was sparked by the encouragement of a mentor who recognized something worth pursuing. Hobbies are a strange thing, indeed…and a casual word for a sometimes serious pursuit. 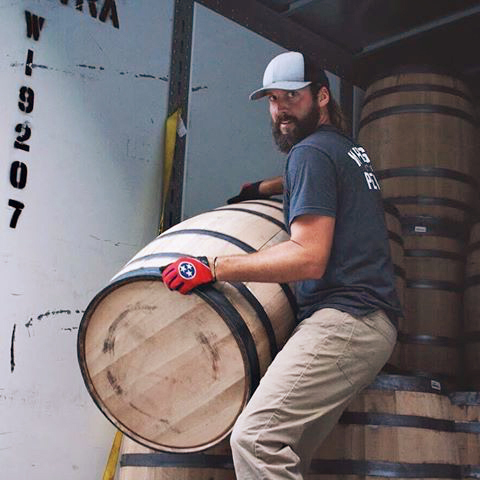 Our Chatt Whiskey People have a lot of hobbies. Our distilling team in particular, brings the essence of these passions to the distillery every day. While their hobbies are different than mine, I’ve come to realize that our whiskey is something of a conduit; both conducive to – and seemingly conducting from – their private pursuits. Patrick, Nathan and Mike are rock climbers, mountain bikers and outdoorsmen. Steven is a nuts and bolts guy immersed in complex systems. He tinkers with mountain bikes, drones, motorcycles and who knows what else. His passion lives in the active process of testing the scientific principles of the world – waiting, watching, learning and adjusting. The more complex the system, the more gratifying to figure out how it works. Our whiskey fermentations bask in complexity as well – reacting simultaneously to the constraints of temperature, time in the fermenter, type of and amount of yeast. While the overall process is simple – we feed them sugar, they give us alcohol and flavor – the joy is in the details. Our fermentations go much longer and slower than most, as we believe that these slower, more subtle reactions bring greater complexity and quality to our spirit. Because of this, it’s harder to pin down when and where each flavor component arose in the fermentation, but all the more gratifying to unwind and discover them in the finished product. Levi lives in the zen of motorcycle maintenance. When a bike breaks, you stay present and let the motorcycle lead you to the solution. While this approach can teach you many things, some secrets are best passed down from someone who’s done it all before and is willing to take the time to explain it in a way you couldn’t have taught yourself. The meditation and meme theory of our craft is similarly carried on through story and demonstration. My friend and mentor, Brian Sprance, learned the fundamentals of this trade from MGP wizard, Larry Ebersold. Brian added his own touches to that story and graciously passed them on for me to retell. Our whiskey will intentionally never be theirs, but their memes quietly live here too. Her assemblage art takes second-hand antiques, symbols and forgotten ornaments, fashioning them completely anew from some beauty already written. Whiskey is a similar assemblage. 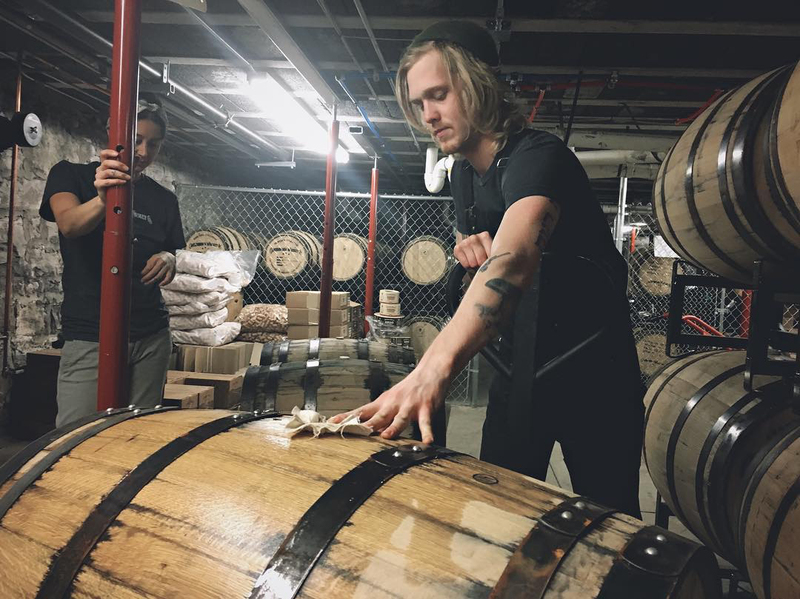 We use corn from a farmer, malt from a maltster, yeast from a microbiologist, and barrels from a cooper – all crafts we graciously borrow from to execute our own. We follow some old rules of thumb that seem too beautiful to ignore, and move others under a magnifying glass – under our thumbs – in an attempt to make them yield to our freedom of expression. Good art borrows, great art steals. Our craft scours, rummages, and tips its cap on the way out the door. When I look at hobbies like these, it’s easy to understand how each one of them can become a lifelong pursuit of bliss or perfection. Fortunately, these fine folks make room for one more pursuit: distilling…to make a whiskey we’re calling: Tennessee High Malt. For some of us, our hobbies quiet the chaos around us by looking at the things we love through a microscope. At closer examination however, maybe these “hobbies” are less casual passions than the resonant extensions of our personal tendencies, radiating from our head tops to our heel tips. My guess is that from our nature and nurture, they’ve likely always been there. Lucky for us, Tennessee High Malt has always been there too. Two and a half years ago, one of the very first components of Batch 001 flowed from the still, born from a hobby and a hunch. At the time it wasn’t called anything, but in our founder’s voice, I heard the words “keep doing that”. So we did…and then we called it Tennessee High Malt.